So far, this is the list of prizes in the raffle, and this is NOT the final one, there will be at least this lot in there! 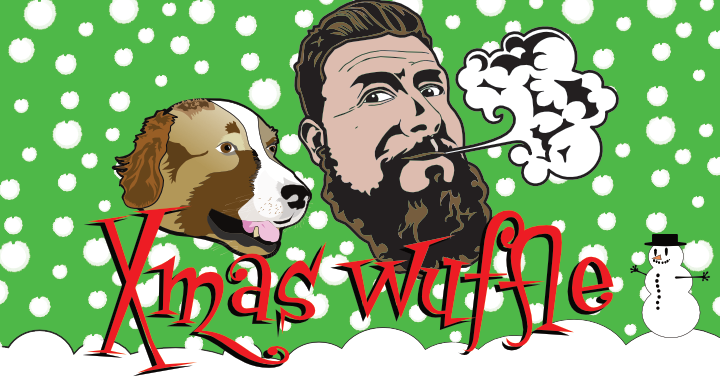 First of all, the video is LIVE the WUFFLE HAS BEEN DRAWN! One thing I will have to clarify is that I will need help from the winners for postage costs. I will keep this down as much as possible, and also I am not going to be responsible for any customs/taxes incurred when reaching whichever country you’re in. I will be able to be clearer with that once I’ve weighed the packages. Obviously you will have to be a subscriber to win. Ok so let’s get into the guts of what’s there, some are still sealed, some are review items – as I said though, there may be more additions! I’ll be throwing in stuff like wick, maybe a vape mat here and there, and other stuff, but I think we’ve got a pretty decent start! As mentioned I may well ask for assistance with postage costs, and will update the website accordingly. 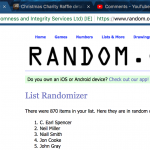 Draw to take place via https://www.random.org/lists/ on the 24th of December 2017 which will be recorded. It will be randomised 3 times and the winners will be the top entries on number 3. You lovely people never let me down, so while Christmas isn’t the best time to do a raffle, you’ve come through before I have no doubts you’ll do it again! Video explaining everything will be up soon, but keep an eye on this page for any changes! Next Post: The rise of tabloid reviews? A damn fine set of prizes young fella, I’m sure the 2k figure will be exceeded. And then there’s the reason for this, a very happy charity will benefit.